To create a sense of intimacy in the great room, Hersker designed a table-height divider that surrounds two oversized A. Rudin sofas. The multifunctional piece provides space for display and storage in addition to creating a sense of separation in the room. 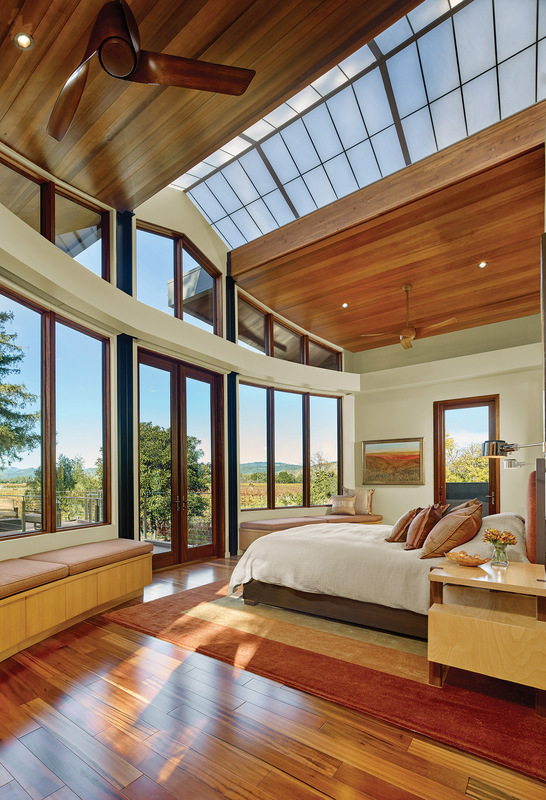 Pocketing glass doors retract to extend the living space to the outdoors. Design trends, like fashion styles, tend to change every season. Yesterday’s bell bottoms become this year’s skinny jeans, and Tuscan textiles give way to Ikat prints. 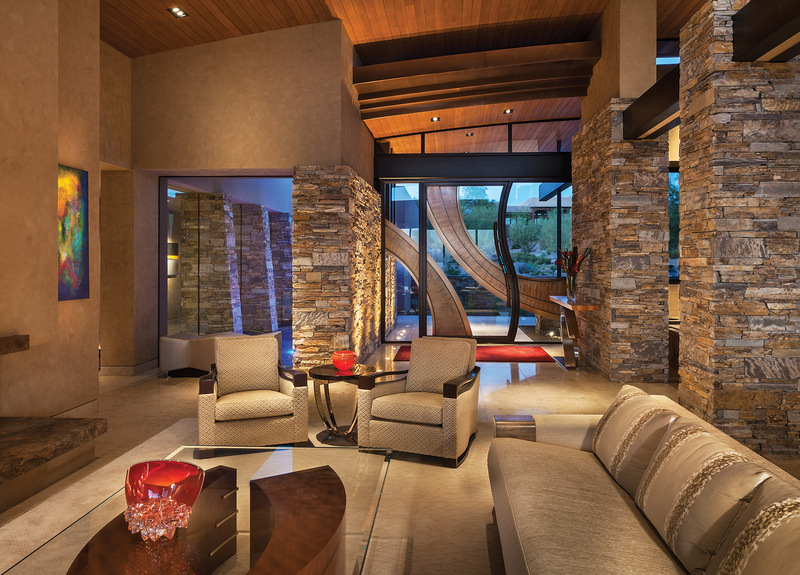 This is precisely why Scottsdale interior designer Susan Hersker makes a point not to invest her clients’ money in the latest fads. Instead, she steers them toward classic lines, good quality and lasting craftsmanship. From a young age, Hersker was always drawing and making art. Encouraged by her parents and teachers, she attended Arizona State University and earned a bachelor of fine arts degree in interior design. After early stints as a design assistant and retail staff designer, she started her own company, Design Directives, in 1981. 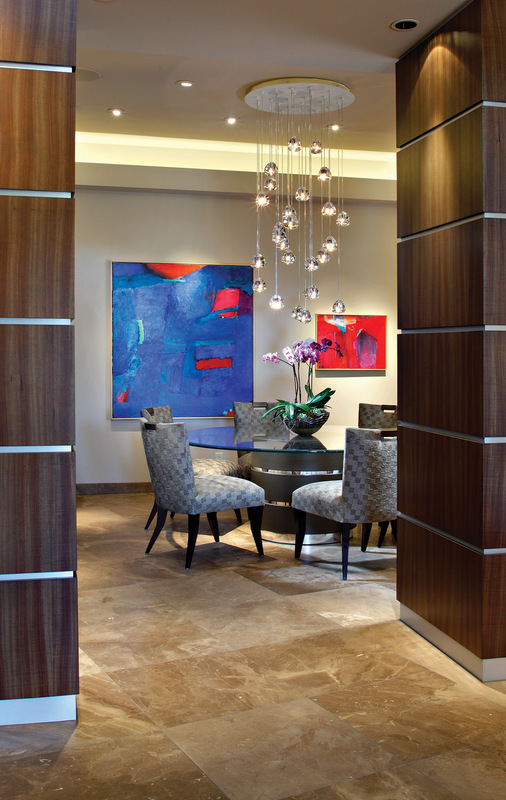 The designer often helps her customers with their second, third and fourth homes. “We become friends and develop trust,” Hersker says. “There’s nothing more satisfying for me than designing homes that my clients love for many years.” And that’s a design philosophy that seems unlikely to ever go out of style. 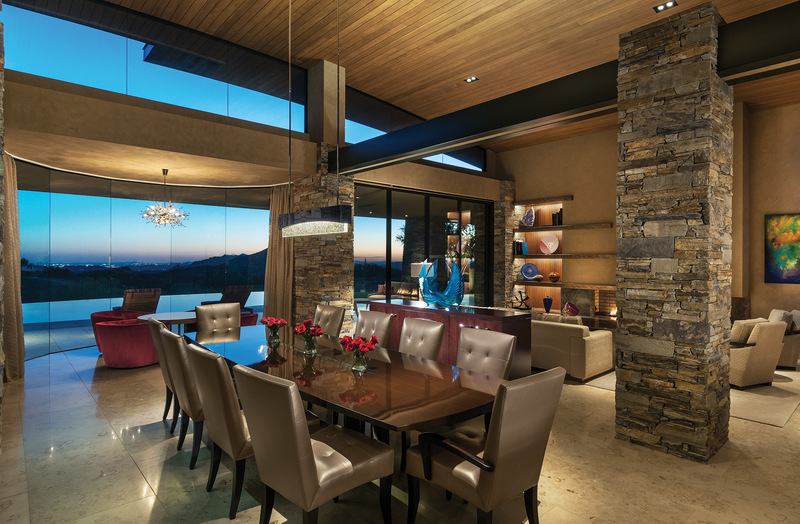 Scottsdale interior designer Susan Hersker shares some of her favorite inspirations, spaces and sources. A: Sally Sirkin Lewis’ design aesthetic speaks to me and is always timeless. She’s known for her California style, and her look exemplifies clean-lined, elegant, contemporary design. 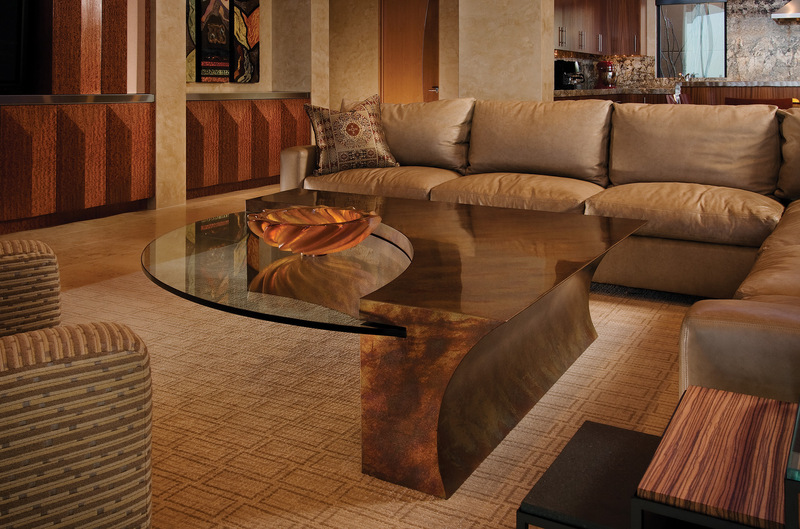 She touts furniture as an art form, and I’ve always enjoyed designing furniture for my clients. When I think of Bunny Williams, I think of timeless, livable luxury. She loves to blend modern elements with antiques, and her work is not trendy. A: It’s definitely eclectic, with a blend of things from contemporary furniture to beautiful antique pieces that were my grandmother’s. No designer is ever 100 percent happy with our personal spaces, because we’re constantly flooded with the latest and greatest products and overexposed to so much. I’d like to have seven homes and design each one differently. Q: What’s one of your most treasured possessions? A: My piano. It’s a dark walnut baby grand that I play to relax. I appreciate it because in addition to being a wonderful instrument, it’s a beautiful piece of furniture. A: I was told once that there are 738 colors of white, and I really believe it. When I choose a paint color I usually have other elements in place like the stone, fabrics and rugs, so I’ll pull the correct white to go with those elements. Dunn-Edwards Whisper is a great, all-around light white that goes with almost everything. 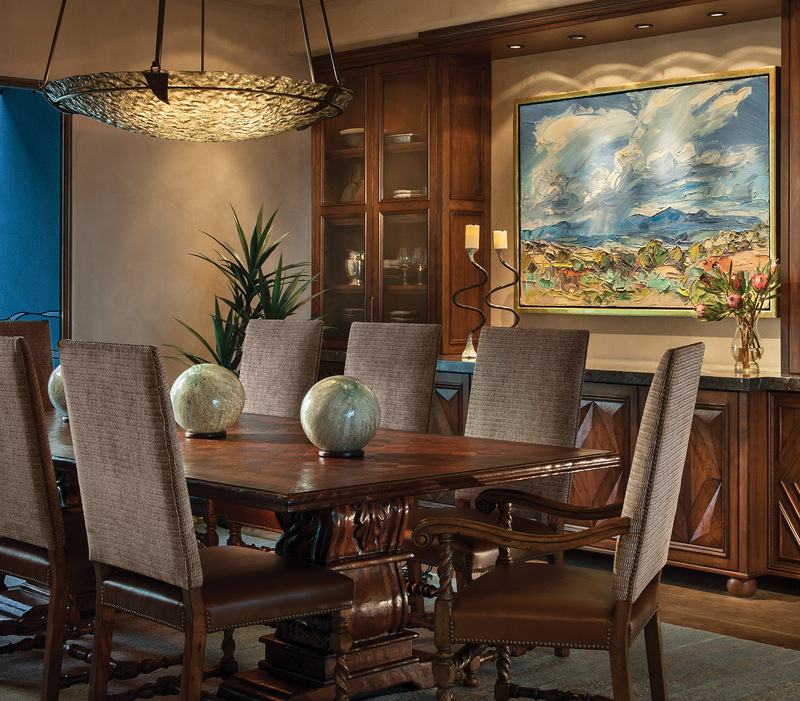 A leaded glass door opens to a home office showcasing a collection of Native American artifacts. Hersker specified a hand-troweled wall with display niches above and practical built-in storage underneath. A natural slab of rustic wood was crafted into an oversized desk, and the arroyo-style carpet was custom made to fit the space. 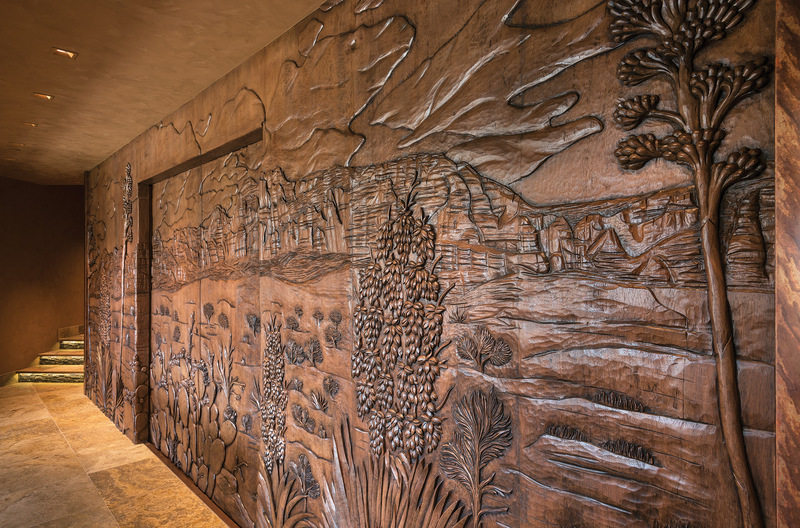 A wall of Honduran mahogany hand carved with cactus motifs, agave and other local flora was crafted by Sonoran Doors. The center panel doors open to reveal a large home theater and golf simulator. 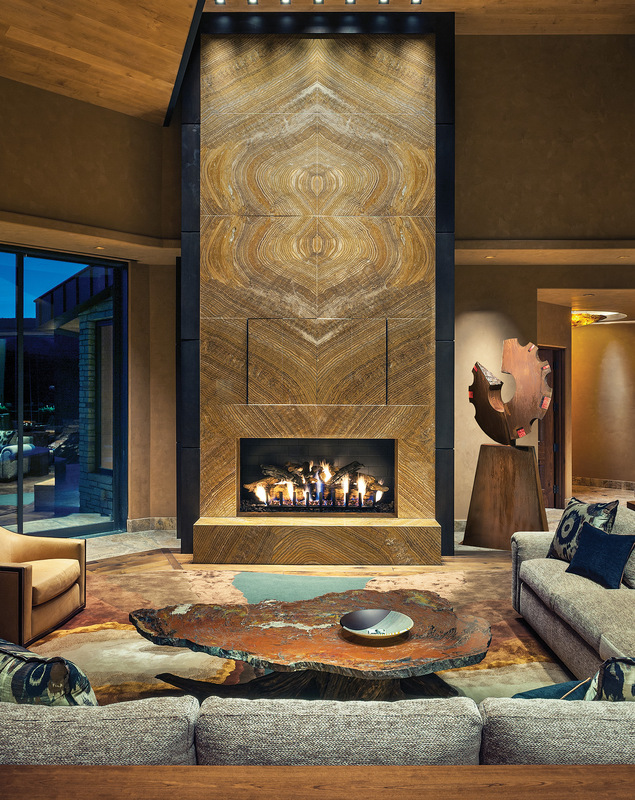 A 16-foot fireplace with slab onyx in a quad, bookmatch design creates a dramatic focal point in the great room. 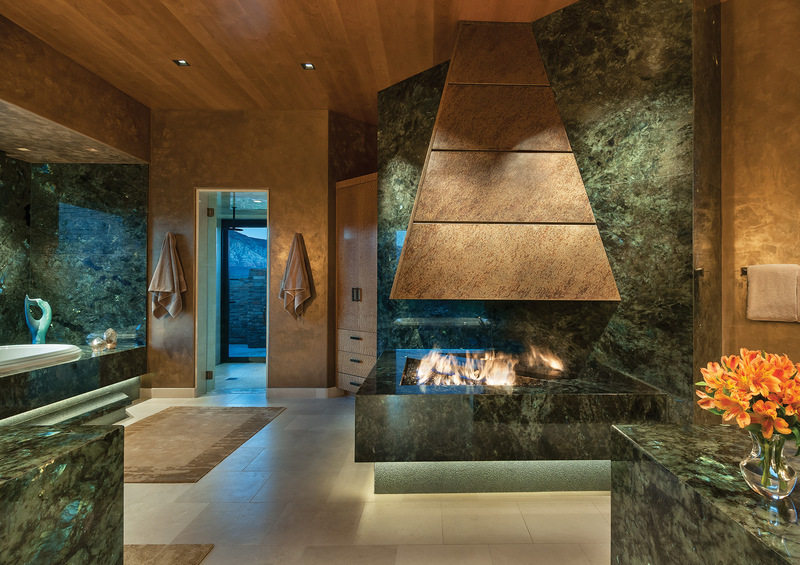 The craftsmen at Stockett Tile and Granite spent six months meticulously crafting the hearth and creating a built-in door to hide a television. The petrified wood coffee-table top is a piece Hersker found at a gem show; she added the bristlecone pine base.